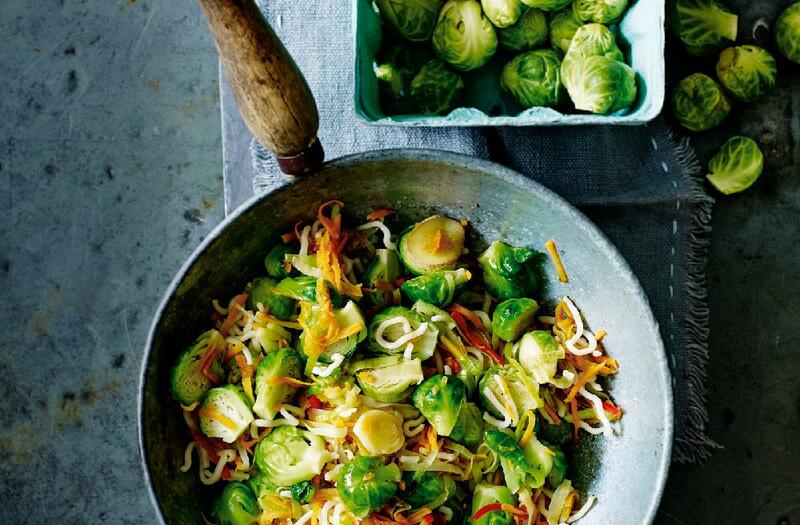 An ideal way to use up leftover sprouts – this quick, easy and healthy stir fry packs a fragrant blend of spices, the salty-sweetness of soy and honey, and the fresh vibrancy of carrot and leek. Dovetailing Tip: Use the leftover Brussels sprouts you made for Meal 2. Bring a large pan of water to the boil. Add the sprouts and cook for 5 minutes, or until just softened. Drain and rinse under cold water. Pat dry and set aside. Put the oil in a wok over a medium high heat. Add the leek and cook for 2 minutes, or until softened. Add the sprouts, stir-fry for 2 minutes more, then add the garlic, ginger and chilli. Stir-fry for a further minute, until fragrant, then add the carrot, soy sauce and honey. Toss to combine.